Now, Aunty Flo always had what seemed a bottomless bag of sharp and tangy sugar coated Pear Drops in her coat pocket. So, with that in mind, the Alchemist set out to replicate and develop that bold flavour. 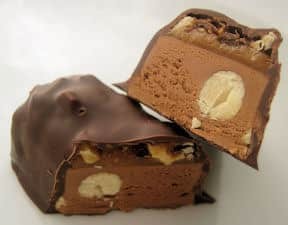 This is another treat for serious sweetie lovers everywhere who enjoy the old sweet shop style flavours. 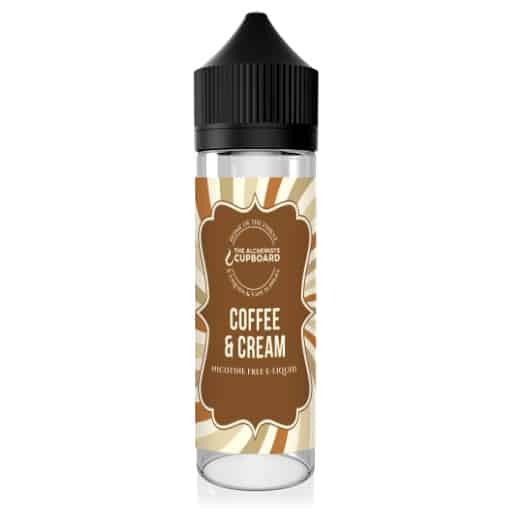 This is a strong flavoured vape that is sure to bring back memories of times past. In our opinion it is not one to be vaped all day, but it is very nice for a change. Good vapor production and strong flavours that remain in the mouth from this Vape Liquid. 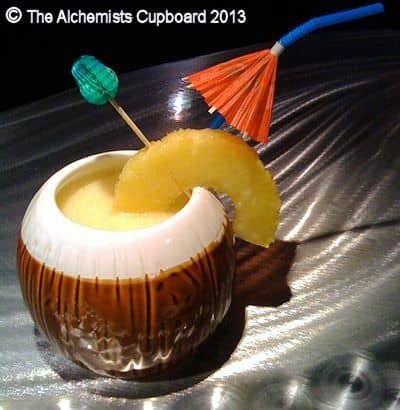 Having an Auntie Flo is not essential to enjoy this retro sweet treat from the Alchemist, you can just pretend…. it’s easy when your vaping this ! Please be aware… We advise that users only use Glass, Pyrex or metal tanks with this juice, to be 100% safe. A few users have reported that this juice has cracked some old style poly-carbonate type tanks . The majority of users report they have had no problems. This is by far the most authentic accurate reproduction of a flavour I have come across in a juice so far to date. Tastes just like Pear Drops – even has that after effect which slightly takes your breath away just like the real sweets – flavour stays there right till the end – in fact it can spoil you as moving onto other less flavourful juices after being on this for a while can leave everything else feeling muted and bland. Throat hit is excellent. Top marks for this juice – you got it spot on!!! Takes me back, nostalgia in a vape, amazing ???true??? flavour, great throat hit, very refreshing. I could vape this all day, but I treat Aunty Flo?? ?s Pear Drops as a ?? ?special reserve??? as a treat to myself?????? It is an amazing e-liquid, if there was a hall of fame for e-liquid, Aunty Flo would have a prominent place. This is sooooo authentic, if you loved pear drops when you were a kid you will love this. The smell is heavenly and the taste is yummy. My new favorite vape, bought 10mls last week to try it and its finished already, just bought a 30ml just now, must try to control myself or I will be buying again next week. A must try. Just taken delivery of Aunty Flo? ?s Pear Drops E-Liquid from Alchemists Cupboard I bought a 30ml bottle with 24mg nic and according to the site it’s “60PG/40VG E-Liquid” First thing I noticed when the package arrived on opening the package before I had even opened the bottle was the distinctive smell of pear drops as if I had just opened a fresh bag of sweets from the old fashioned sweet shop. I hurriedly got a spare vivi out of my drawer and carefully poured a couple of ml into it. Using my vamo at 7.5w and vivi head is 3.5 ohms. I put it to my lips and my mouth instantly began to water in anticipation of this delicious flavour. I must say I have tried quite a few liquids in the past but never has my mouth been watering when vaping ! Was I disappointed ? Hell no ! It really was pear drops in a vape. I was a little worried that it might have tasted like the pear fruit with some awful sweetener added but it really does taste unmistakably like pear drops. It even has what I call the “nail varnish smell” taste. Ok so Vapour production : Very good Throat Hit : Very good Flavour : Fantastic if you like pear drops, which I do I like the cool TH from Menthol so I added a little menthol to the liquid and just when I thought it couldn’t get any better… It did ! This is a wonderful liquid, not too sweet and flavours are just the right strength. One of the best flavours I have ever had. It cracked the drip tip of my evod. I went and bought a glass pro tank today mainly just so I can still cape this. My friend has the set up I had and has had no problems. Like the message says beware! 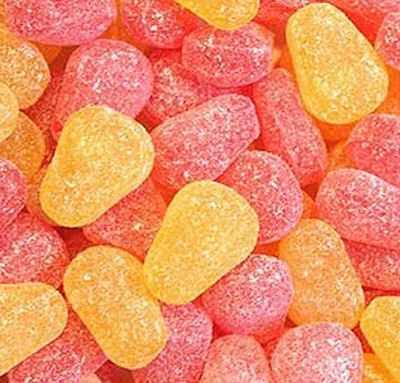 The flavour is a perfect replica of the sweets! Well this flavour is absolutely amazing, it really is – well like a pear drop! What a clever guy, the most authentic tasting E-liquid I have ever purchased. Streets ahead of all the other vendors I have tried. Well done and thanks. Pear Drops! Exactly the same as the sweets. The smell and taste are absolutley spot on. It’s one of those juices that you just have to smell every time you open the cupboard. Brilliant. Love this juice,, works wonderfully well in a dripper, this will take you back to the pick and mix days,, even Auntie Flo loves it. You will not believe how good this is until you try it, it’s amazing how much they get it to taste so similar. I swear down you would think you’re eating one.